As we (slowly!) transition into spring, it’s time for a refresh not only when it comes to our wardrobes, but also our makeup and beauty looks. Spring is always the perfect time for fresh, lighter and brighter makeup, and this season there’s added sparkle. 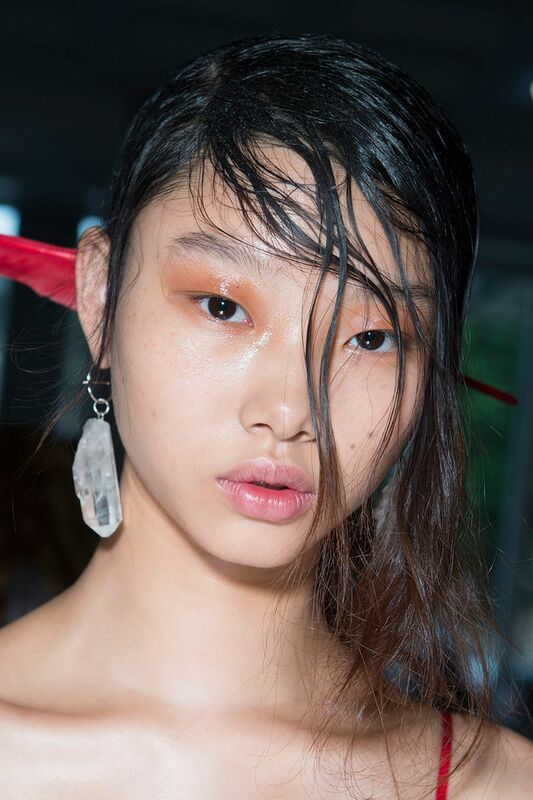 Here are our favourite beauty looks from the SS18 catwalks. 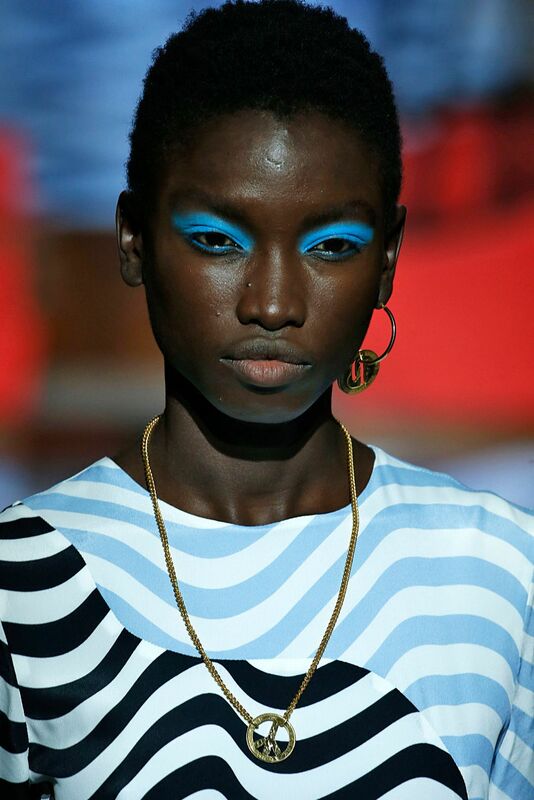 Seen at House of Holland and Marni, traditional black eyeliner gave way to bold aqua shades in graphic stripes lining the eyes. 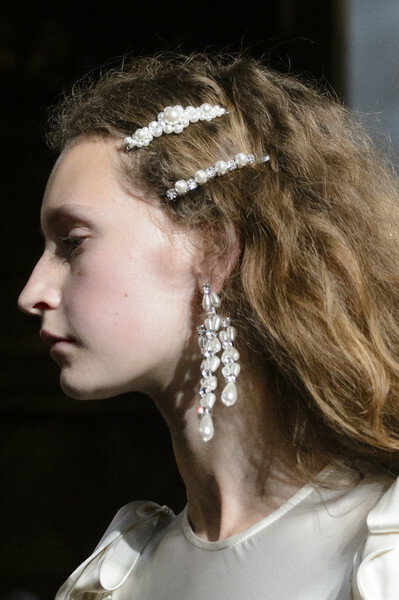 This season marks the return of the hair accessory, with signature crowns at Dolce & Gabbana and princessy hair slides at Simone Rocha. 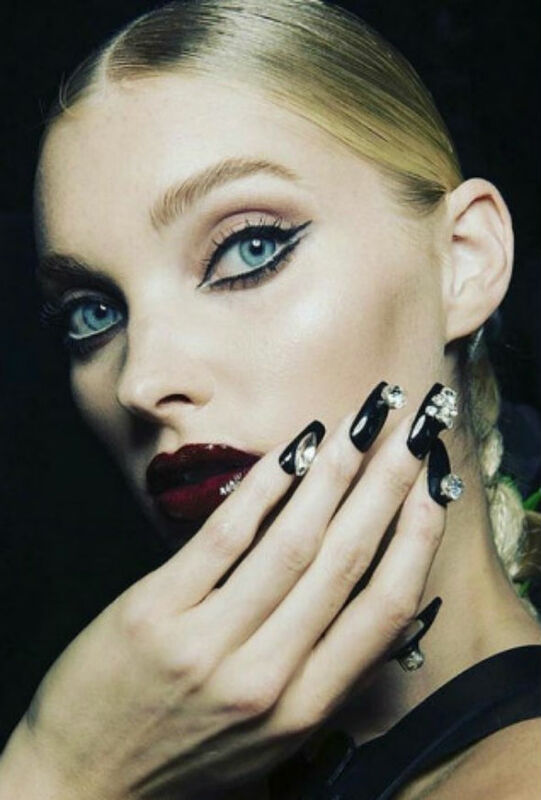 Nail art went full blown bling this season, with catwalks including Philipp Plein and Naeem Khan adding crystals to models’ manis for a truly statement look. 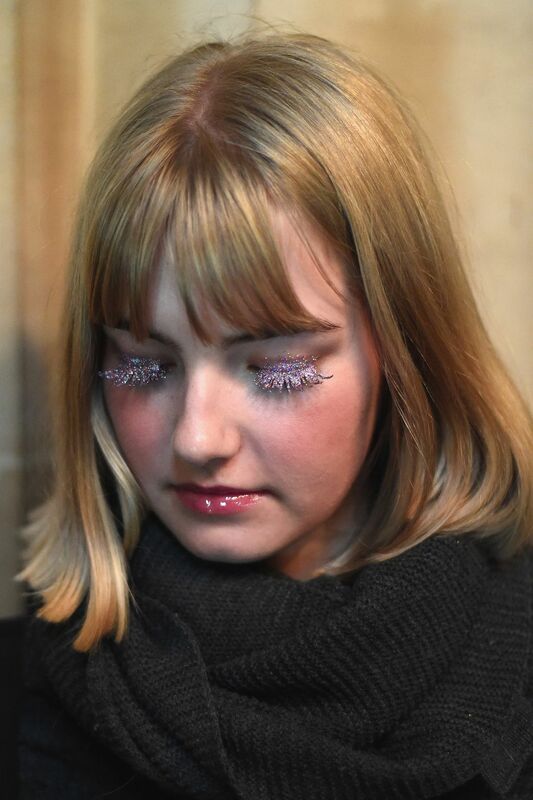 Putting paid to the idea that glitter is just for Christmas party season, sparkly makeup looks dominated the catwalks at Ryan Lo, Dries Van Noten and Ashish. A warm, tonal shade somewhere between brown and orange was used on models’ eyes to create a natural shadow and depth at shows such as Preen.